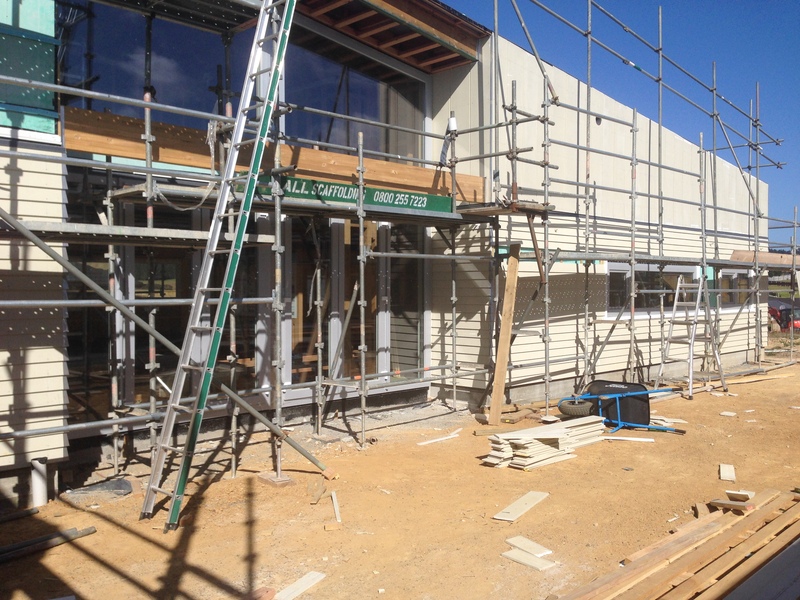 The western side of the home. 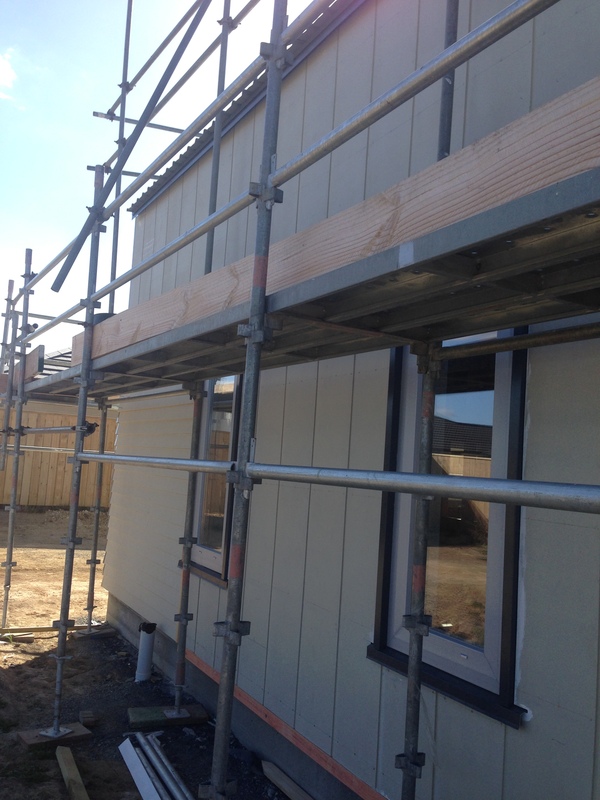 The large triple glazed windows have now been installed by warm windows, and the James Hardie Scyon® Stria® cladding is now being installed around the rest of the house. 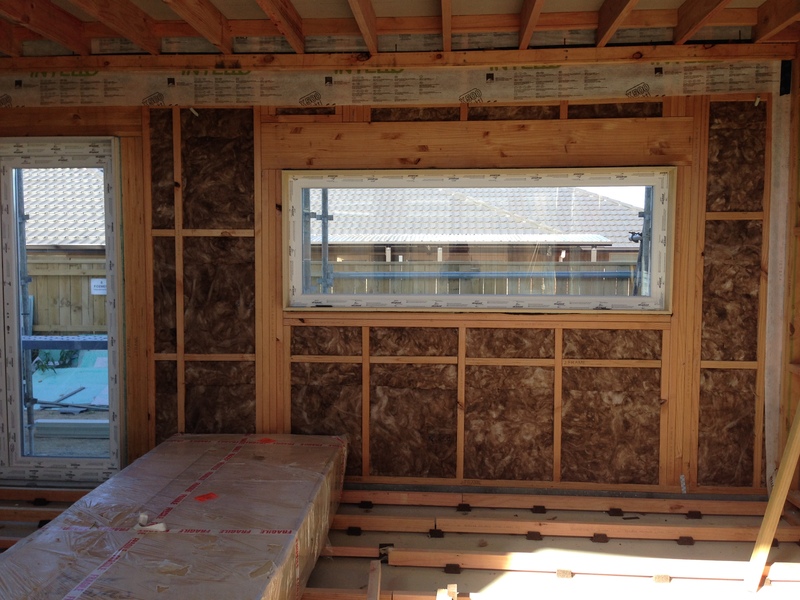 Southern wall (140mm framing) which is installed with a layer of R2.8 90mm and R1.4 50mm, plus an internal cavity of R1.4 50mm Earthwool glasswool insulation. (Total R5.6). 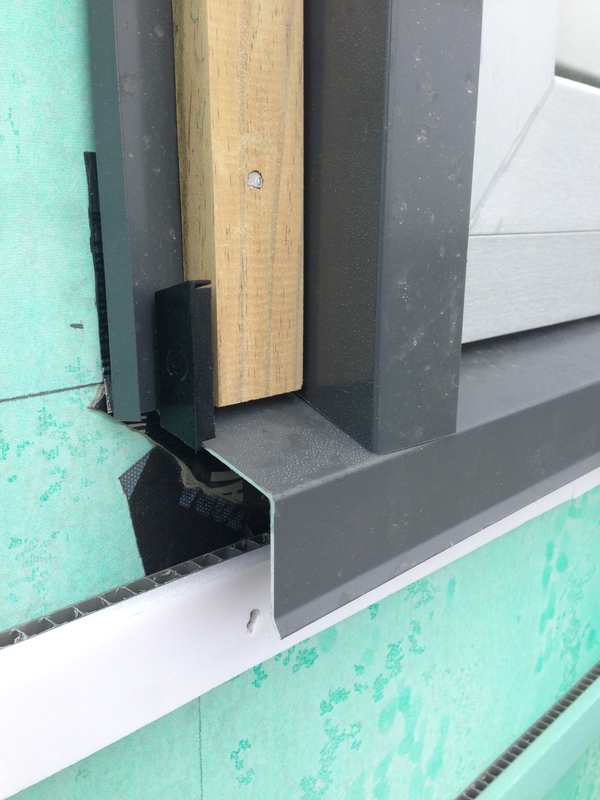 Window flashings surround the uPVC windows from Warm Windows for weather-tightness. 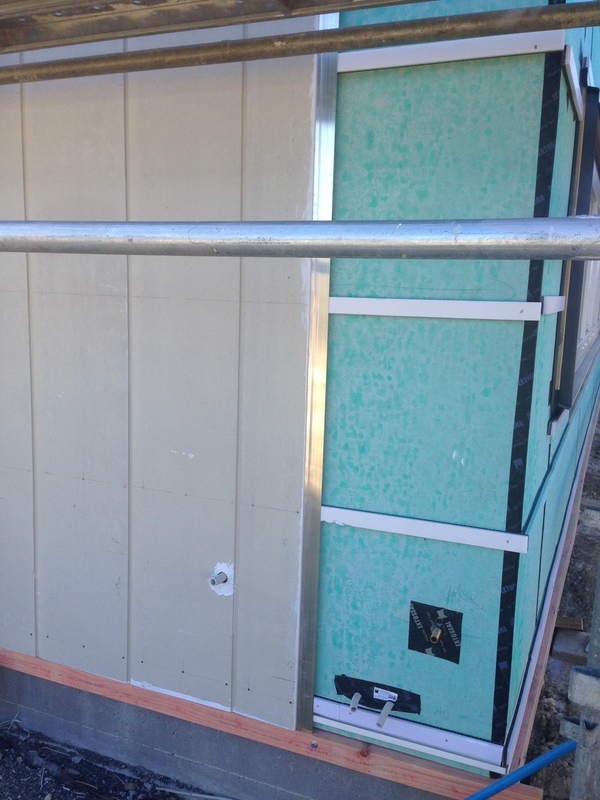 Back corner of the home, showing waterproofing around the hose-tap, and power outlets for an external power point and the water-pump, using pro clima tapes. 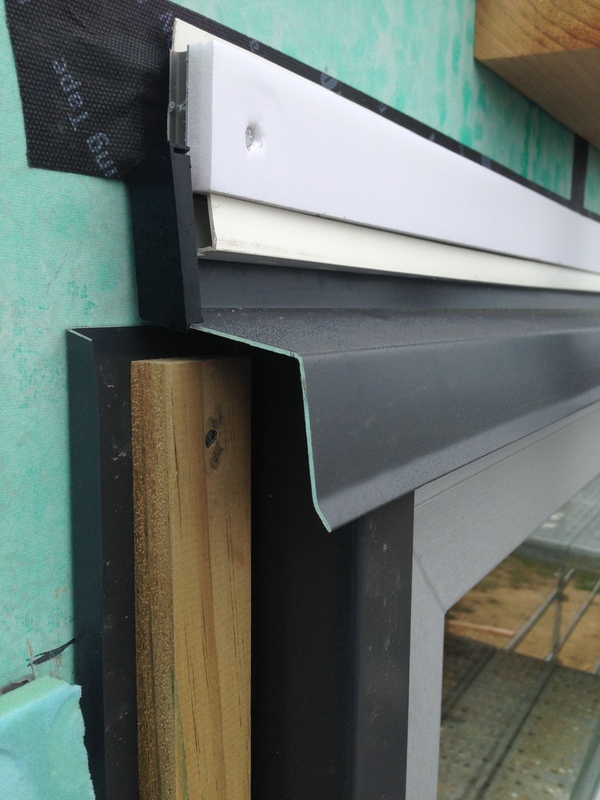 The bottom board is to square up the cladding while it is being installed, and the vertical flashing is to join two of the Scyon® Stria® boards. Bamboo stair-case from Top Flyte stairs. Can’t wait to see it installed! 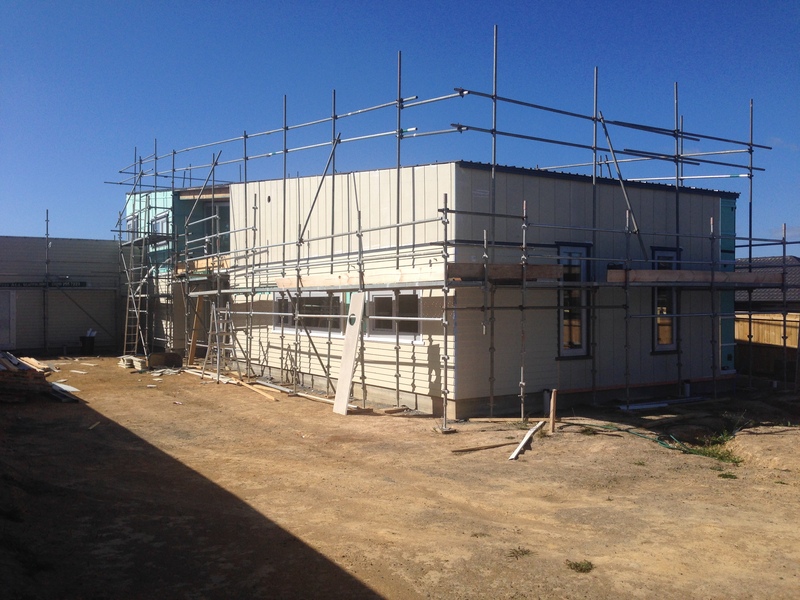 R2.8 90mm Earthwool® glasswool insulation now installed in the walls, and the midfloor will have R4.1 installed for its acoustic properties, and a layer of R2.8 to be installed between the batten and cradle floor battens. 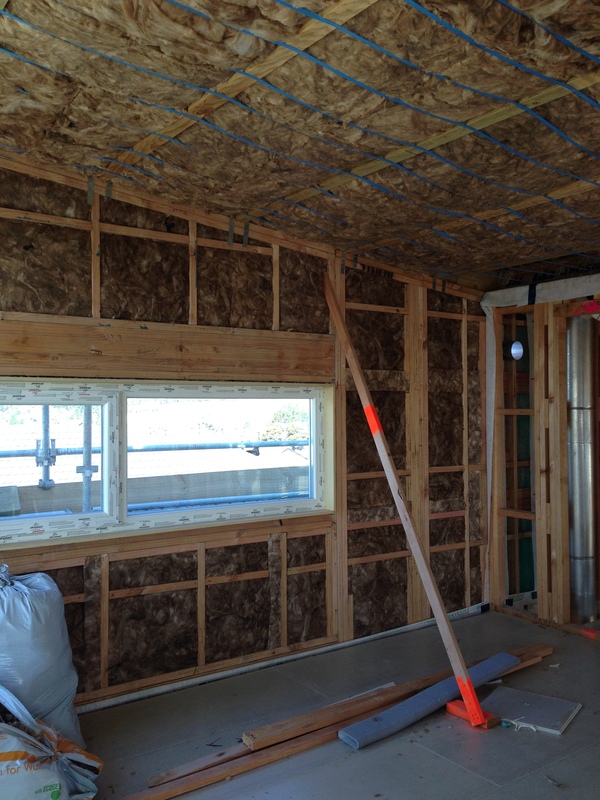 More Earthwool® glasswool insulation. Air-tight fireplace installed which we installed from Belgium. We’re told if we light it, we’ll need to open all the windows – but we couldn’t resist it for the ambience and for those cold mornings after kids soccer. 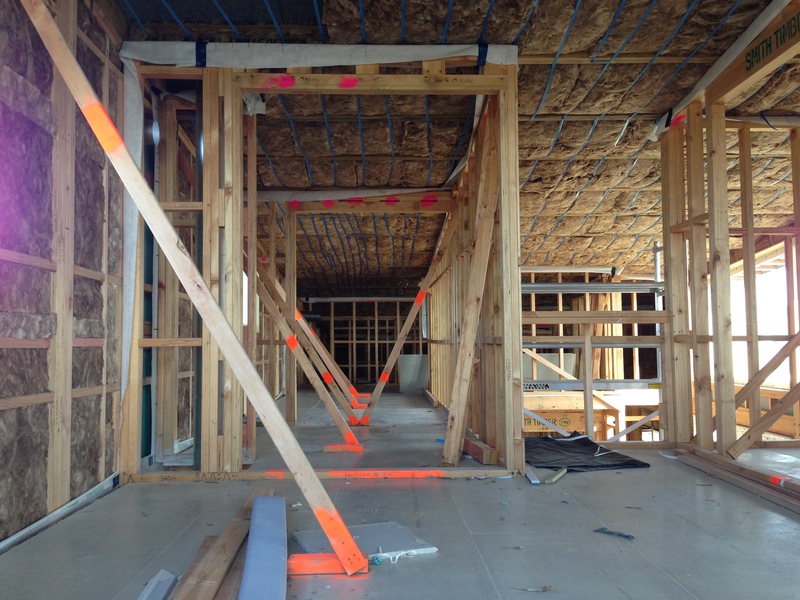 R2.8 90mm Earthwool® glasswool insulation in the walls (before the intello membrane from pro clima), and R5.2 strapped into the ceiling between the 90mm I-Beams from NZ Woodproducts. Master bedroom, looking down into the wardrobe on the left, and to the vaulted kitchen area to the right. 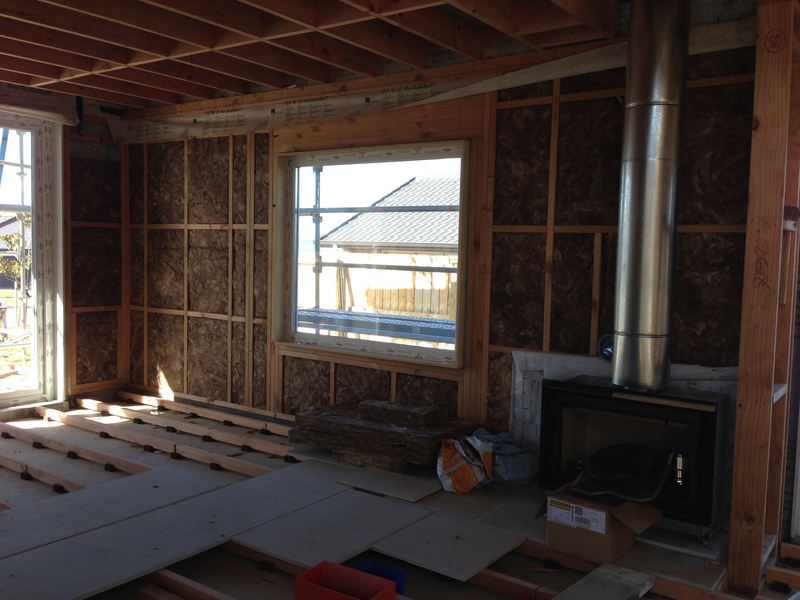 R2.8 90mm Earthwool® glasswool insulation in the walls (before the intello membrane from pro clima), and R5.2 strapped into the ceiling between the 90mm I-Beams from NZ Woodproducts. 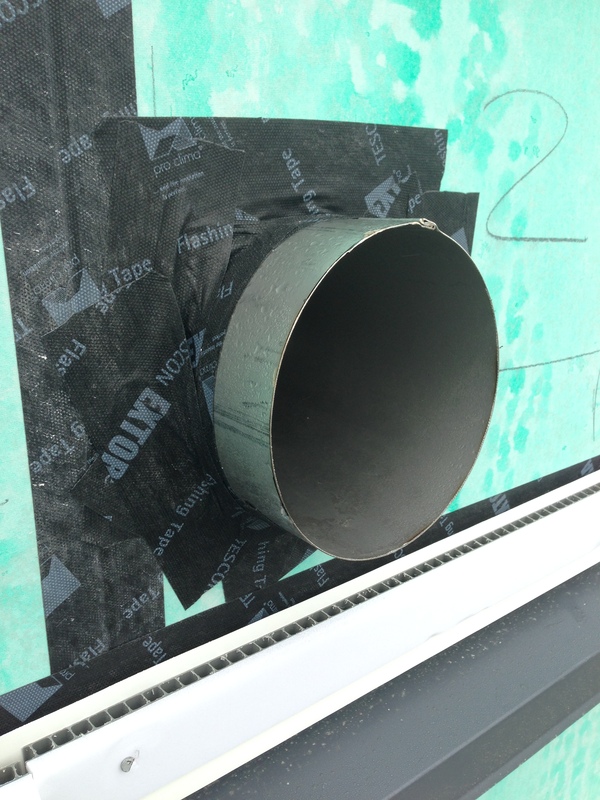 The detail at the top of the uPVC triple glazed windows from Warm Windows. 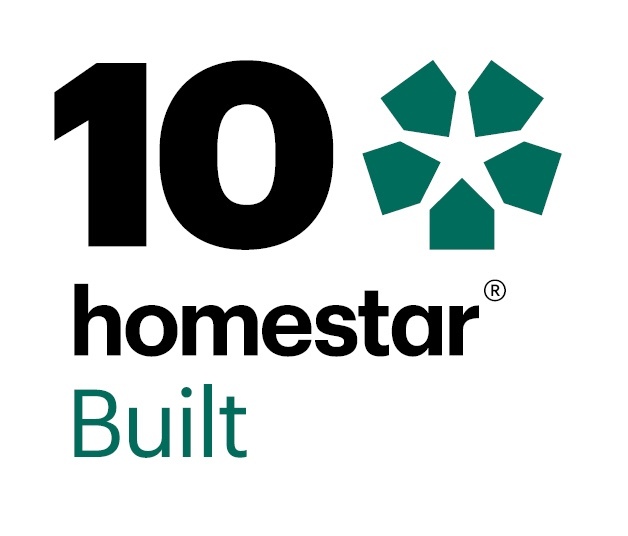 The detail at the bottom of the uPVC triple glazed windows from Warm Windows. 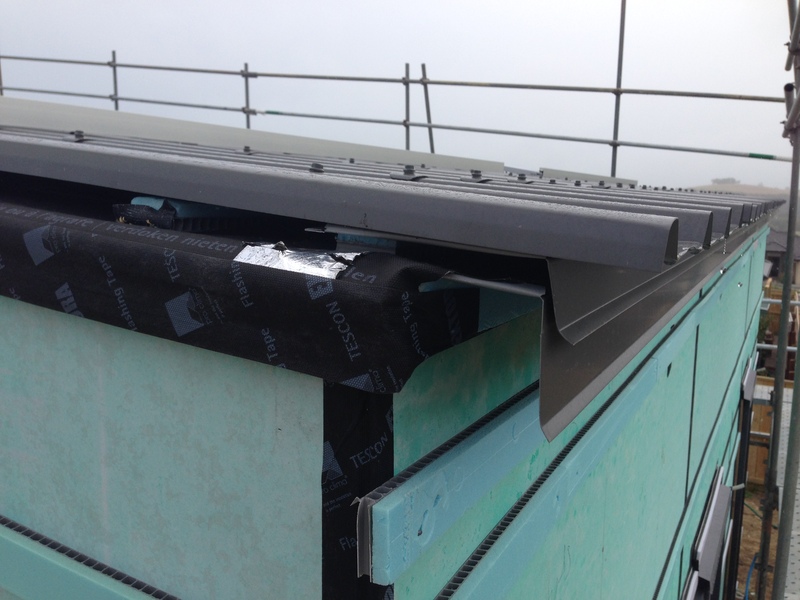 Cladding to be installed, as well as a timber block under the bottom flashing. 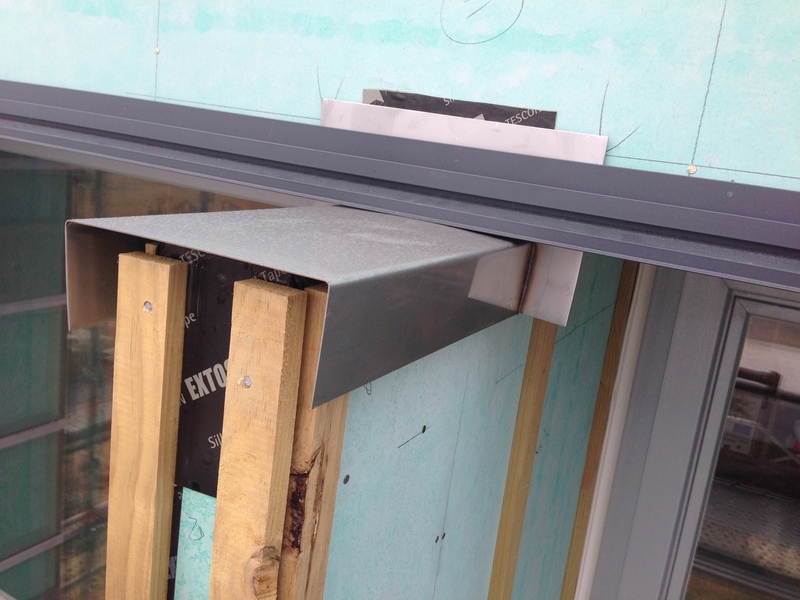 Custom stainless flashings that were made for the shade fin on the Northern side of the house (in the middle of the windows of the master bedroom). 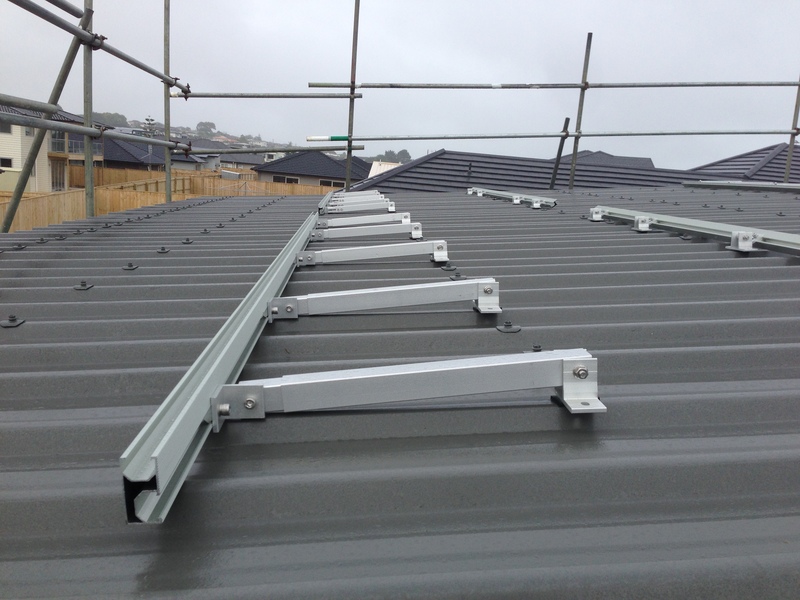 Detail of the end of the roofing, where the gutter will be installed. 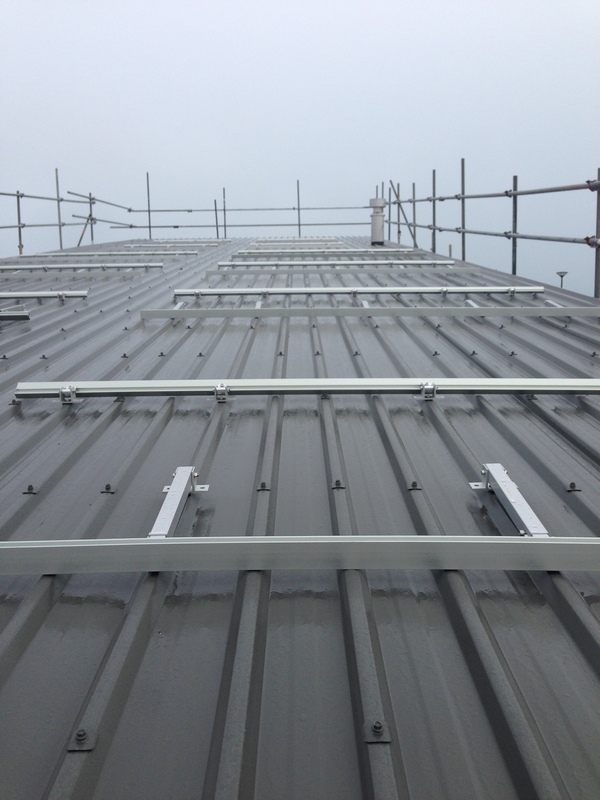 Two flashings for weather-tighness.